Category Archives: What or Who's Next? – Renato “Babalu” Sobral’s striking looked much improved in his fight with Robbie Lawler on Wednesday. For nearly two and half rounds, Babalu did a great job mixing up his leg kicks with a solid 1-2 punch combo to frustrate Lawler. Babalu earned the unanimous decision victory earning him a title shot. Since Babalu and current Strikeforce light heavyweight champion, Muhammed “King Mo” Lawal are friends and training partners, Babalu turned down a shot at the belt and instead asked for a fight with Dan Henderson. Renato “Babalu” Sobral – As mentioned above, Sobral called out Dan Henderson, so he is the heavy favorite to be his next match-up. If they don’t grant Sobral’s wish, Rafael Cavalcante, Antwain Britt, or Matt Lindland are other possible match-ups. Robbie Lawler – Lawler has now lost two of his last three fights, and it’s looking like his time at being a top 10 middleweight are over. Luckily for Lawler, the middleweight division is by far the most talented division Strikeforce has to offer, so many interesting matches are still out there. The biggest question still remains to be the future plans of the champion, Jake Shields. If Shields bolts for the UFC, a middleweight tournament is expected to be made to crown the next champion. Due to Lawler’s exciting style, he would most likely be placed in the tournament. If Jake Shields decides to stay, Lawler will most likely be put in a title contender elimination fight against someone like Jason “Mayhem Miller, or rising stars Tim Kennedy or Luke Rockhold. – DREAM welterweight champion Marius Zaromskis has taken a large step back from being the “next big thing” in the welterweight division. His time at Strikeforce has been a nightmare, getting beaten badly twice in a row inside the cage. Evangelista “Cyborg” Santos smashed Zaromskis’ suspect chin numerous times in route to his 1st round TKO victory. This was Cyborg’s first fight at welterweight, and it couldn’t have gone any better. Santos was the much larger fighter in this fight and he used his advantage to his its full potential. Marius Zaromskis – Zaromskis will probably head back to Japan, where he will feast on the much smaller Japanese welterweights. Evangelista “Cyborg” Santos – There are plenty of entertaining fights for Cyborg in the division like Tyron Woodley, Karl Amoussou, or Andre Galvao, just to name a few. – Tim Kennedy burst into title contention after running through an incredibly tough fighter in Trevor Prangley on Wednesday night. Kennedy showed great fighting reflexes after Prangley hip-tossed him twice, but immediately was able role through the throw and get right back up to his feet. He eventually would take Prangley’s back, and sink a standing rear naked choke that forced the tap at 3:35 in the first round. Tim Kennedy – If there is a tournament to crown a new welterweight champion, you’d have to assume Kennedy would be in it. If there isn’t, I want to see him against one of the top level guys in the weight class like Jason Miller, Scott Smith, or Joey Villasenor. Trevor Prangley – I still really want to see the Amoussou fight, that was prematurely stopped due to an accidental eye poke. – Conor Heun and KJ Noons put on a show with a three round stand up war. Heun was surprisingly landing the more effective strikes in the first round, but Noons settled in and showed us why he is truly one of the best pure boxers in all of mixed martial arts. The fight ended up being a split decision due to one judge’s ridiculous scorecard of 30-27 in favor of Heun. KJ Noons – Scott Coker came out in the post-fight press conference and said theat KJ Noons – Nick Diaz II is “highly likely” in the near future. Diaz’s only loss since May of 2006 came at the hands of KJ Noons, and there still bad blood between the two fighters. Another classic between the two is more than likely headed our way. 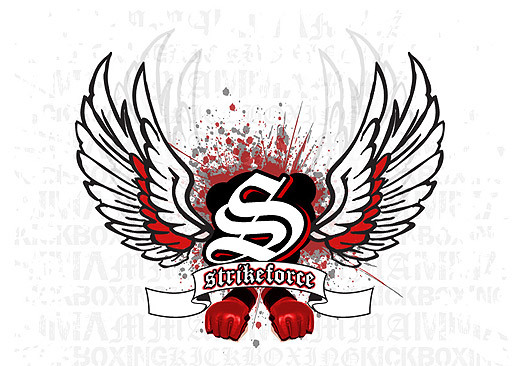 Conor Heun – Heun is now 0-2 under the Strikeforce banner, but in both losing efforts he’s managed to put on a great fight. He’s likely earned another fight in the promotion, and will likely be used as a gatekeeper role for another up-and-coming lightweight. Possible match ups include Billy Evangelista, Justin Wilcox, or Lee Gibson. – Ben Askren shocked the world on Thursday night when he completely dominated the heavy favorite, Dan Hornbuckle for three rounds to earn himself a unanimous decision victory in front of his hometown fans. The win earned him a $100,000 paycheck and a shot at the Bellator welterweight champion, Lyman Good sometime later this year. – Jose Vega became an instant star after his highlight reel KO of Jarrod Card. The win likely earned Vega a spot in next season’s bantamweight tournament. – Raphael Davis (9-1-0) looks like a solid prospect in the light heavyweight division. – Heavyweight prospect Cole Konrad stays undefeated after his unanimous decision victory over John Orr. – Lisa Ward was awarded entry into next season’s 115 lb women’s tournament after defeating Stephanie Frausto in the 1st round by rear naked choke. – Somehow, Matt Hamill was cleared to fight on Saturday night by the Nevada State Commission,even though he had a visable rash from a staph infection on his lower back. It amazes me how the commission, ringside doctors, Dana White, Hamill or Jardine’s trading partners, or anyone else closely related to this fight did not get this fight stopped. I know fighters need to actually fight to make their money, and it’s troubling for the promotions to scratch a fight so close to the day of the fight. But fighters health should always be #1 priority, and Hamill clearly had a contagious bacterial infection and should have been no where near the cage that night. – Chris Leben looked quite impressive for the 2nd time in a row, earning a TKO victory over highly touted prospect, Aaron Simpson. Leben has really cleaned up his act outside the cage and it’s paying large divedens inside. I don’t think Leben will ever get close to a title shot, but a level headed Chris Leben makes for a difficult night for any middleweight in the division that may be standing across the cage from him. – UFC New-Comer Travis Browne defeated James McSweeney by TKO in the 1st round due to strikes, but McSweeney’s camp is challenging the decision saying Browne used illegal strikes to the back of the head which lead to the outcome of the fight. A ruling should be made on Monday if the fight will be changed to a no contest. – TUF 11 cast members: Rich Attonio, Brad Tavares, Kyle Noke, and Chris Camozzi likely earned another fight inside the UFC after winning their respected match-ups. – Matt Hamill broke his hand sometime during his fight with Keith Jardine. – Chris Camozzi seperated his shoulder sometime in his fight with James Hamortree. Matt Hamill – Hamill will likely spend sometime away from the cage after suffering a broken hand, but can expect a solid opponent when he returns. Someone like Brandon Vera, Jason Brilz, or Luis Arthur Cane could be possible options. Keith Jardine – Jardine has now lost 5 of his last 6 fights, dating back to 2008. It’s really tough to see him getting another shot in the UFC for now, but he’s a guy that would be brought back soon if he can put a couple wins together in the local circuit. 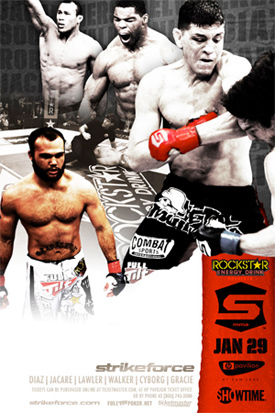 Chris Leben – Leben’s stlye always creates great match-ups against really anyone. 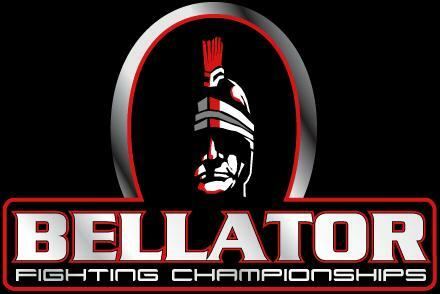 Possible next opponents include Dan Miller, Nate Quarry, or a rematch with Patrick Cote. Aaron Simpson – Simpson’s hype trained slowed down quite a bit after his beatdown from Leben. More than anything, Aaron Simpson just needs more cage time. Joe Doerksen, Ryan Jensen, or Nick Catone would be viable options. Dennis Siver – Mark Bocek, Efrain Escudero, or Sam Stout would be a nice jump up the ladder for the German. Spencer Fisher – The UFC lightweight division is absolutely stacked and there are a number of quality fighters that are stuck in limbo in the division. Fighters like Spencer Fisher, Joe Stevenson and Clay Guida are quality fighters that just can’t really cut it against the top 15 guys. These guys should be sent to the WEC. Imagine the drawing power a Henderson/Guida fight or a Stevenson/Cerrone fight could bring. John Gunderson – Gunderson keeps his UFC career alive after getting a victory over Mark Holst at the TUF 11 Finale. Aaron Riley, Waylon Lowe, or new-comer Paul Sass would be a nice next opponent for him. Mark Holst – I’m not sure if Holst will get another shot inside the octagon for now. It was only his first lost in the UFC, but if you can’t beat John Gunderson, you’re not quite ready to be on the big stage. Travis Browne – Antoni Hardonk, Pat Barry, or Todd Duffee might be possible next opponents for Browne. James McSweeney – It’s hard to see the UFC keeping McSweeney around with just a 4-5 overall MMA record. Back to the English local circuit for McSweeney is likely. – Marlon Sandro has sent 3 of his last 4 opponents out in stretchers. His last 4 wins have lasted a total of 3 minutes and 39 seconds with two and a half of those minutes being against Yuji Hoshino. This is a scary, scary man. You’ll probably see a lot of featherweights heading to the WEC just to avoid this guy. – Maximo Blanco is a serious prospect in the lightweight division. His combination of athleticism and explosiveness makes him an incredibly exciting, violent human being. – Japanesse, silver medalist in the 2004 Olympics, judoka Hiroshi Izumi won his 2nd consecutive MMA fight by defeating Chang Seob Lee by TKO in the 1st round. – This card is my favorite choice so far this year for “Fight Card of the Year” at the MMA Awards next year. Every fight kept you on the edge of your seat. – Another odd judges scoring, left fans with a bad taste in their mouth on what was otherwise a spectacular night of fights. The main event ended in a draw in a fight that seemed to be clearly won by Jamie Varner. The first round was mainly controlled by the crisp boxing of the former champ,Varner. Kamal Shalorus was rocked by a straight right hand, but when Varner went in for the kill, Shalorus returned fire which turned the fight into a slugfest. In the second, the fight was briefly stopped due to a low blow landed by Shalorus. He recieved a warning and the fight continued. Minutes later, another low blow dropped Jamie Varner to the mat, and referee Josh Rosenthal deducted a point from Shalorus. Varner eventually recovered and continued the fight, and eventually rocked Shalrous again with another straight right hand. Shalorus came back strong again, but the round still seemed to be clearly in Varner’s favor. A couple minutes into the 3rd round, poor Jamie Varner was on the wrong side of another accidental low blow, but for some reason another point was never taken away. The rest of the round was controlled by Shalorus, who finally used his elite wrestling ability to control Varner on the ground and earn him the final frame. When the fight was over, everyone was expecting the easy decision call in favor for Varner with the help of the point deduction in the second round. We were all wrong. Judges scores came back 29-27 Shalorus, 29-27 Varner, and 28-28 Draw, which lead to the official split draw ruling. Terrible scoring by the judges again…. which has added to the streak of awful decisions the past few months in MMA judging. – Jamie Varner and Kamal Shalorus each broke a hand and a foot in their fight. – Mark Hominick and Yves Jabouin put on a classic fight in the co-main event, that was full of high paced offense and momentem shifts. In the second round alone, each fighter was knocked down from big shots, just seconds apart from each other. Mark Hominick eventually got the TKO stoppage, inching him closer to a title shot against the featherweight champ. – Josh Grispi may have leap-frogged Manvel Gamburyan as the next in line to face featherweight champion Jose Aldo, after he dispatched of LC Davis in just two in a half minutes with a guillotine choke that rendered him unconcious. – Chris Horodecki dominated late replacement Danny Downes to earn his first win inside the WEC. – Before the Hominick – Jabouin fight, it seemed like Eddie Wineland and Will Campuzano were going to win the “Fight of the Night” award easily after these two traded strikes heavily. Campuzano favored low kicks early, but Wineland flashed the head movement and footwork that are quickly becoming his hallmark while avoiding any real damage. The former WEC champ, Wineland, dropped Campuzano on two occasions in the opening round after catching mid-level kicks, but the end came in the second. A beautiful three-punch combo that targeted the head and the body dropped Campuzano, and Wineland pounced. Campuzano showed great resilience in battling back to his feet, but Wineland kept the pressure on. Another massive right to the body dropped Campuzano again, and a standing Wineland delivered a right hand to his opponent’s head that forced the stoppage with 16 seconds left in the round. 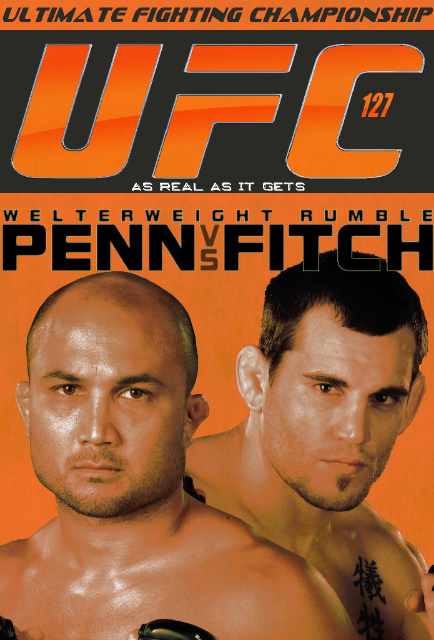 – Will Kerr earned his first WEC victory with an upset win over Karen Darabedyan. – Eric Koch earned his first WEC victory with a submission victory over Bendy Casimir. – Diego Nunes adds his name to title contention consideration with his split decision victory over Rafael Assuncao. – WEC new-comer Chris Cariaso won his debut against Rafael Rebello by an easy unanimous decision. – Highly touted Brazilian prospect Renan Barao won his first fight inside the WEC with a 3rd submission of Anthony Leone. 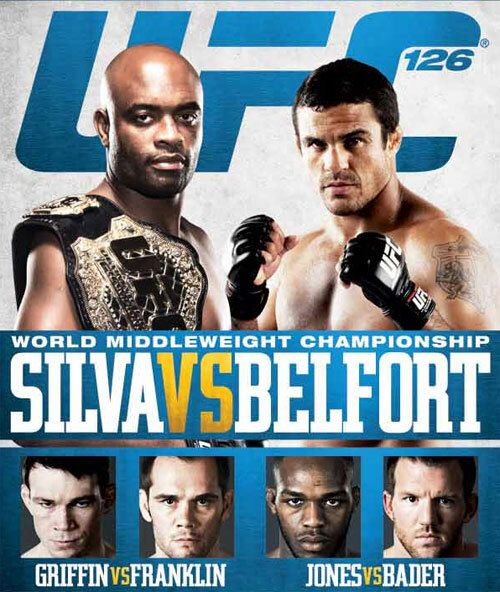 Posted by Matt Faler on June 21, 2010 in Bellator, News and Notes, Sengoku, Strikeforce, UFC, WEC, What or Who's Next?